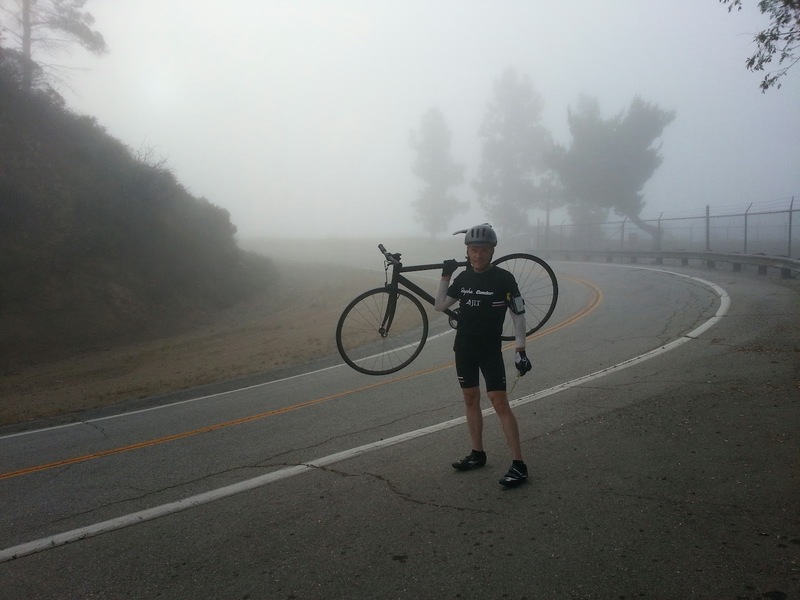 Last Saturday I rode up GMR with John P. It was my first time up there on the fixie in a few months. John P has been posting some killer times on Strava so I was a little nervous for this ride. 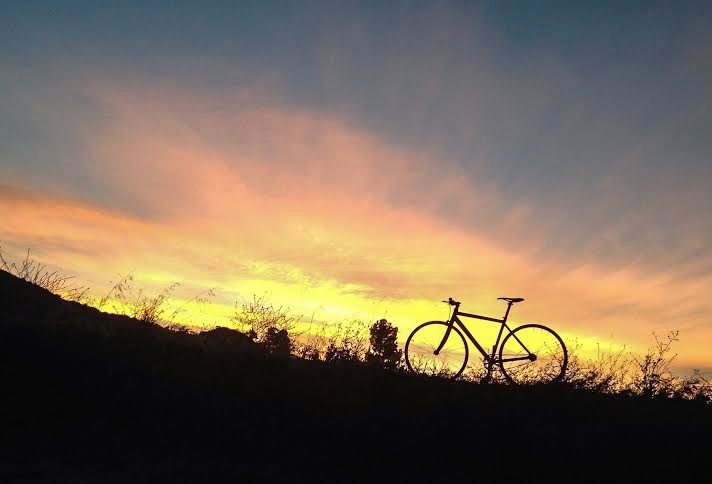 First, John's been doing this ride consistently with a 45 x 15 (or 14) ratio and in the 10's (mph). Second, it was my first time up on a fixed gear bike in a while and I have been struggling to post an average speed of above 10 mph. I arrived at SM/GMR & Sierra Madre at 5:45 am. The plan was to cast off right at 6 am and I was a bit early. I could sleep. I was too eager for this ride. When John got there we quickly geared up and headed up the mountain. I hung on John's rear wheel until the first saddle. He sped off. At the shack I new my time was going to be good. I felt strong. John uploaded his Strava data and BAM! 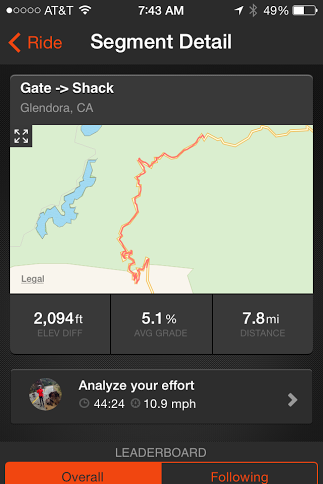 He clocked 10.9 mph from the gate to shack! Great job!